Thales is a Bachelor in Geography from Fluminense Federal University (UFF), Brazil. He holds a Master degree in Remote Sensing from National Institute for Space Research (INPE), Brazil, in 2018. In his Master's thesis he studied burned areas mapping in Amazonia, based on medium resolution satellite images, spectral indices, Geographical Object-based Image Analysis (GEOBIA) and data mining techniques as a support to refine this phenomenon detection. Currently, he is working with the assessment of different fires and burned areas products derived from MODIS data in Amazonia forest areas, under the supervision of Dr. Liana O. Anderson. ​His research interests includes the application of GIS and Remote Sensing methods for vegetation disturbs mapping, focusing on forest fires and burned areas mapping, Land Use and Land Cover (LULC) analysis, change detection mapping and spatial analysis. João is a Ph.D. in Remote Sensing from National Institute for Space Research, Brazil. Graduated in Geography and Master’s degree in Environment and Water Resources. Has experience in Geosciences, focusing on Physical Geography, also acting on the following subjects: geotechnology, remote sensing, monitoring systems (TerraMA² platform), Python and R programming, natural disasters, fires and floods. Currently, João works with the integration of fire pixels with with rural properties areas in an warning system to subsidize planning and decision making for mitigating wildfires in Acre, Brazilian Amazon. Ana Carolina Pessôa holds a degree in Biological Sciences – Ecology from Federal University of Rio de Janeiro (UFRJ). She was an exchange student at University of Montana – USA through the Brazilian program ‘Science Without Borders’. She earned her Master’s degree in Remote Sensing from National Institute for Space Research (INPE) in 2016. Currently, Ana works on the project ‘Tropical Deforestation and Economic Development’ (Research project – KLIMAFORSK, Norwegian Research Council – Project No: 230860/F10). The project is headed by Dr. Torfinn Harding and Dra. Liana Anderson. ​Her research interests includes forest ecology and environmental conservation, focusing on Protected Areas issues. 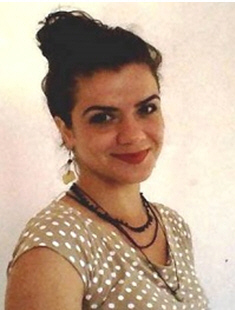 Sacha Siani holds Master’s degree in Remote Sensing from National Institute for Space Research, Brazil (2016) and bachelor’s degree in Environmental and Sanitary Engineering from University of Taubaté (2012). His research focuses on socioenvironmental issues, especially in protected areas, using geoinformation, remote sensing and spatial analysis. Currently, Sacha works on the project ‘Tropical Deforestation and Economic Development’ (Research project – KLIMAFORSK, Norwegian Research Council – Project No: 230860/F10). The project is headed by Dr. Torfinn Harding and Dra. Liana Anderson. David is a System Analyst from the Technology School of Guaratingueta FATEC (2009-2012) with technical education in Business Administration (2006-2008) and a Master's degree in Remote Sensing at the National Institute for Space Research - INPE (2014-2016). In his Master's dissertation he studied high-resolution satellite images working mostly on data mining and big-data algorithms, spatial analysis, geographical object-based image analysis (GEOBIA), non-parametric image classification and statistical validation. Currently he is working with the assessment of forest fire risk in the State of Acre (Brazil) for the National Center for Monitoring and Early Warning of Natural Disasters - CEMADEN (Process No:312500/2016-5), under the supervision of Dr. Liana O. Anderson. Bruna holds a Master degree in Remote Sensing from National Institute for Space Research (INPE). She has a Bachelor degree in Geography with emphasis in Environmental Analysis and Geoprocessing from State University of São Paulo (Unesp). 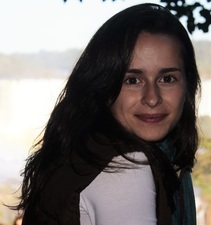 During her bachelor she has been an exchange student at Évora University, Portugal. Bento’s research focuses on Environmental Registry of Rural Properties (known as CAR) in Legal Amazon area through geographic information system (GIS). possui graduação em Engenharia Florestal pela Universidade Estadual de Mato Grasso – UNEMAT (2014). Atuou no no projeto Desmatamento Tropical e Desenvolvimento Econômico (Researcher project - KLIMAFORSK, Norwegian Research Council (Project No: 230860/F10), liderados por Dr Torfinn Harding e Dra Liana Anderson entre 2014 e 2016. Tem experiência na área da pesquisa desde o segundo ano do curso de graduação (2009), dando apoio aos projetos de pesquisa e monitoramento em áreas de floresta com impacto de fogo: Mapeamento e quantificação de orçamento de carbono pós-fogo na Amazônia. Financiamento: Natural Environment Research Council (NERC), Reino Unido, projetos: NE/F015356/1 e NE/I018123/1. has a background in Biology from Taubaté University and is technician in remote sensing and GIS. Brenda worked with Liana Anderson from 2011 to 2014, supporting the mapping and validation of burn scars maps in the Amazon. Her work has been fund by the AMAZONICA project (Natural Environment Research Council–NERC/grant: NE/F005806/1).